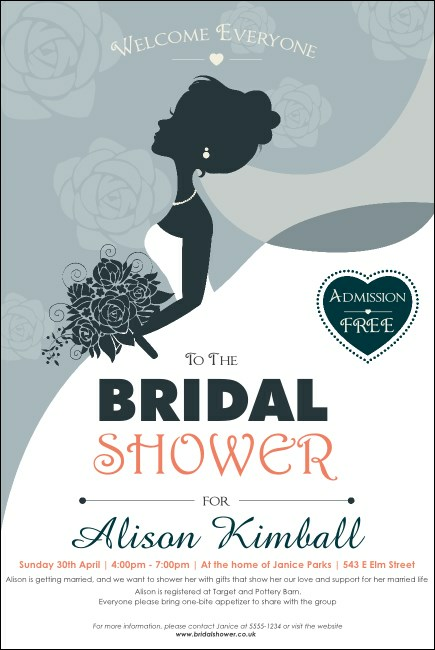 Attract soon-to-be brides and wedding planners alike when you promote your wedding showcase with the stunning Bridal Poster. A modern silhouette of a bride holds a blooming bouquet, with a light blue background. Enter fourteen lines of event details into the template below!